Generation Seven came to us with a limited budget asking if we could create something that was intriguing and helped them communicate who they are, and what they do. We worked with them in 2009 on this web site. The home page features an animated logo. Subpages follow the same layout and fixed-frame design. The result is a clearly creative web site design that brings the focus to the content. 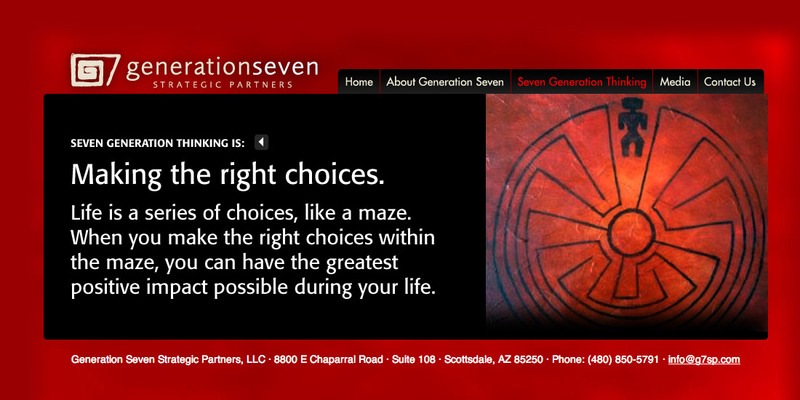 The web site provides a high level summary of the Seven Generation Thinking process as well as the services that Generation Seven provides. We used strong colors, and carefully selected stock photos to achieve a vibrant brand image. 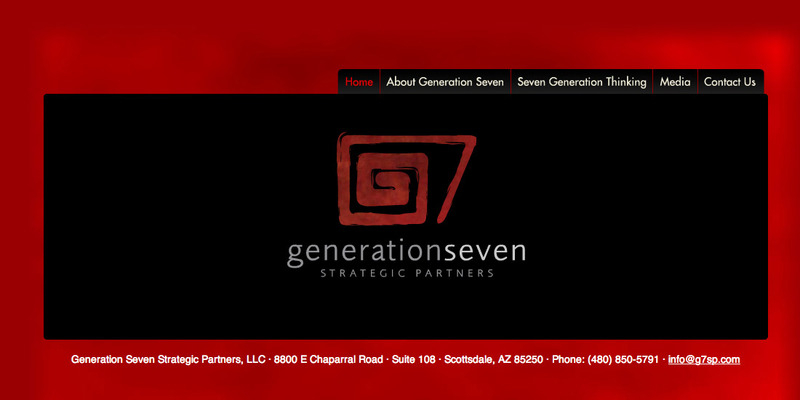 Generation Seven didn’t want to have a lot of content on the web site, and so we focused on including interesting visuals with well formatted content.